After three years research & drawing using source material from the Doves Press, Robert Green’s digital restoration of the famously lost Doves Roman, The Doves Type®, is now available to purchase. An updated Doves Type® Regular, released in January 2015, came after Green’s discovery of a portion of the original metal Doves type in the Thames, replacing the initial Imprint weight which was first available back in 2013. Read more about the history of The Doves Type® on our blog. The Doves Type® single font comes in OpenType OTF format for Mac & PC desktop use, suitable for print and all high resolution applications. It is also available in web font formats for self hosted websites (up to 10K monthly pageviews). 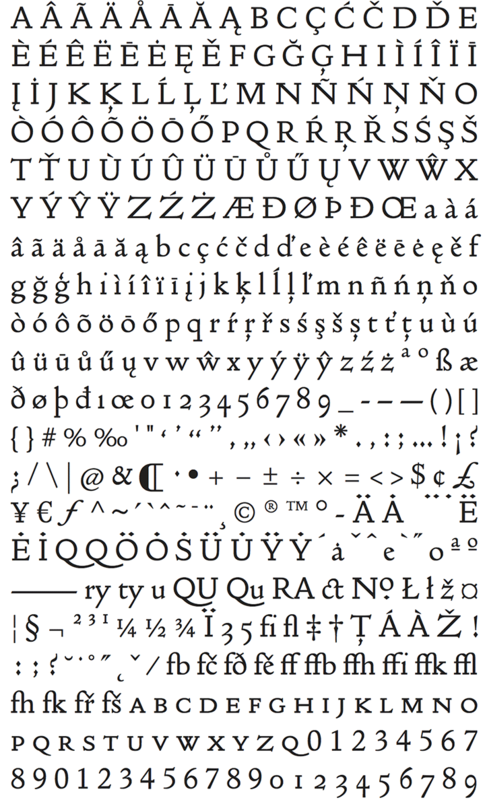 Click below to select the licence option you require and purchase the font for immediate download. Please note that if you require a licence for more than 5 desktop users/devices, or if you’d like to arrange a larger web or embedding licence (apps, eBooks etc) please email us for a quote.